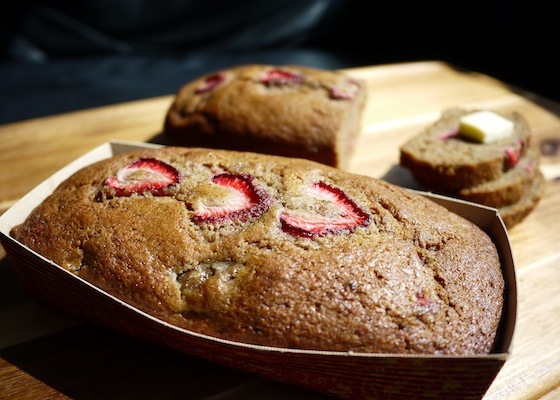 “To Die For Strawberry Banana Bread” – made with GAP Certified BC berries from BerryMobile – is a limited edition flavour that will be available by the slice at Milano Espresso Lounge in Gastown for one week only: Friday, July 13 – Friday, July 20. You can also pre-order individual 400g loaves ($10 each with tax) by filling out this form (sorry – sold out). Just make sure you’ll be able to come pick them up from me at Milano in Gastown on Friday, July 20th anytime between 11am and 1pm. Cash only, please. 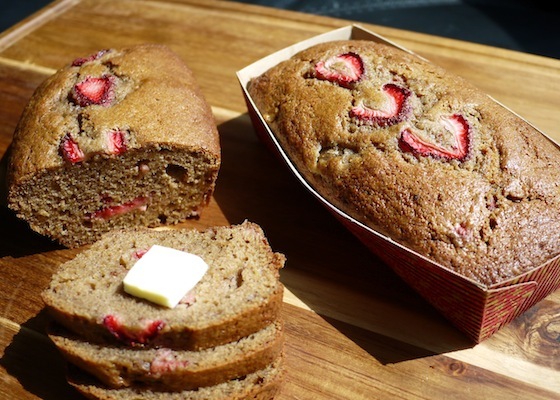 On Friday, July 13th, I’ll be handing out samples of the Strawberry Banana Bread from 11am – noon. Milano Coffee Roasters has generously offered a $1 small latte to every customer who stops by to pick-up their loaf. 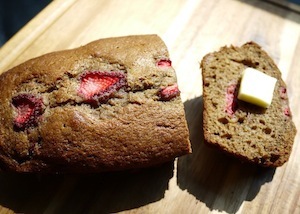 Milano Coffee and To Die For Banana Bread is a perfect pairing in my books. I can’t wait for you to try this flavour – hope you all love it. Looking forward to seeing you!